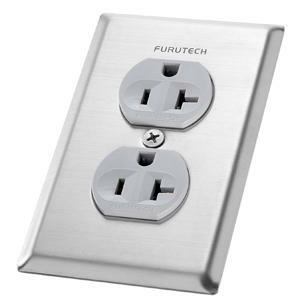 use with Furutech’s FP-15A-N1/FP-20A-N1/FT-D20A/FT-S20A series receptacles. The remarkable Fo-Q Anti-Resonance Material used in these superb receptacle cover plates was developed by Prof.
Masao Sumita of the Tokyo Institute of Technology, with support from the JST (Japanese Science and Technology Promotion Agency). and piezoelectric loss to remarkable effect in improving every aspect of sound and image reproduction.